There are quite a few cars on the DT favorites list that are almost NEVER found in stock/clean/low-mile configuration for just about any price. 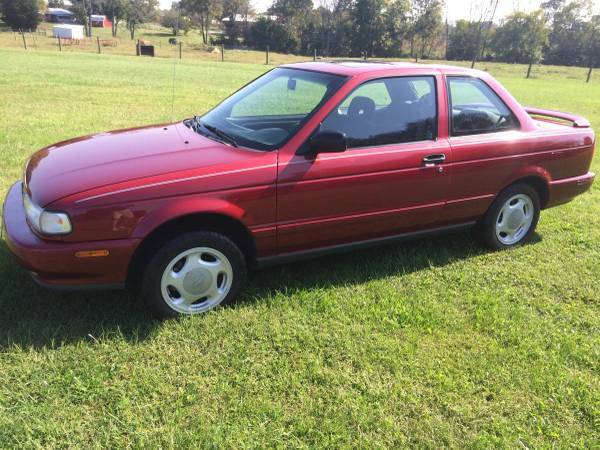 The top of the list includes quite a few Japanese cars, including the Honda CRX, Subaru STI, DSM Talon/Eclipse/Laser, Mitsu EVO, but today we've found a real pile of rocking horse pooh -- a stock/nice/clean 1992 Nissan Sentra SE-R offered for $4,500 in Cincinnati, OH via craigslist. Tip from FuelTruck. I try to not fall victim to the false nostalgia of the rare car -- the idea that any car that was built in limited numbers is somehow more interesting/cool/gooder than a mass produced car...but the B13 SE-R Sentra combined the power of the SR20DE (140 horsepower) with a lightweight chassis to build a Pony car killer back when domestic V8s were choked with small carburetors and retarded timing. The SE-R was such a cool sleeper when new, but try to find a stock one today...yeah..this is it. Nice but not a nice price IMO. Is this price justified? Many other fun choices at the $4500 level. I think there is a buyer out there, somewhere. I've heard people wax poetic about these cars and their purity. Gotta say, i'd be really curious to see if it lives up to the hype. 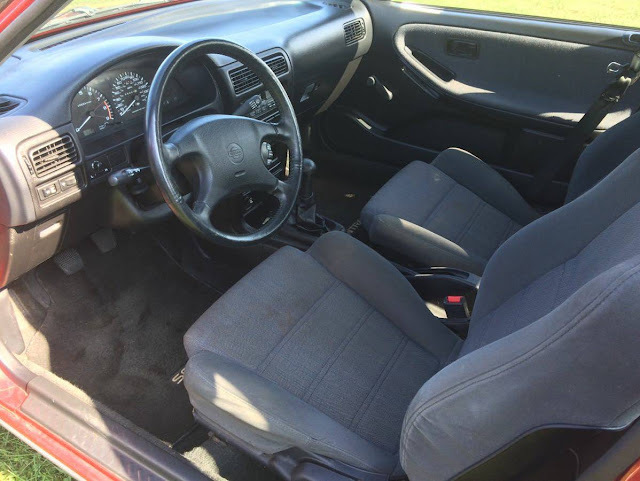 There is literally zero chance of finding another stock b-13 se-r in this condition. Whether you would buy something else for the money is a totally separate conversation. The thing is that these cars respond so well to modifications I would never keep one stock. Nick Fee - yes the hype is justified. I dated a lovely and partially insane girl for a year who owned the clone to this one. While the styling is bland, the view from the inside is sublime. It's a driver's car that handles as good as the best fwd you've driven and the engine is nimble and fast revving. If I hadn't just bought a mint 99 Subaru Legacy I'd be in negotiations with this seller. If owner remains firm, this is sports car (not Japanese coupe) territory price-wise. Japanese car collectibility hasn't been notable save for few blue chip exceptions. For this price-level, performance-wise, a Japanese 280Z or 280ZX, MR2 or Miata are better choices. A German 320i or 5 or 6 series are better choices with a back seat for same $. Worth maybe $3000 but owner doesn't want less. Pro- your alternatives list needs a rethink. The mr2 and Miata are two seat cars. This car has a back seat so why mention BMWs having something this car does not. A se-r with a hand brake on is faster in every concievable way than a e21 320i. 6 series BMW prices are way above this car and they are luxury coupes. 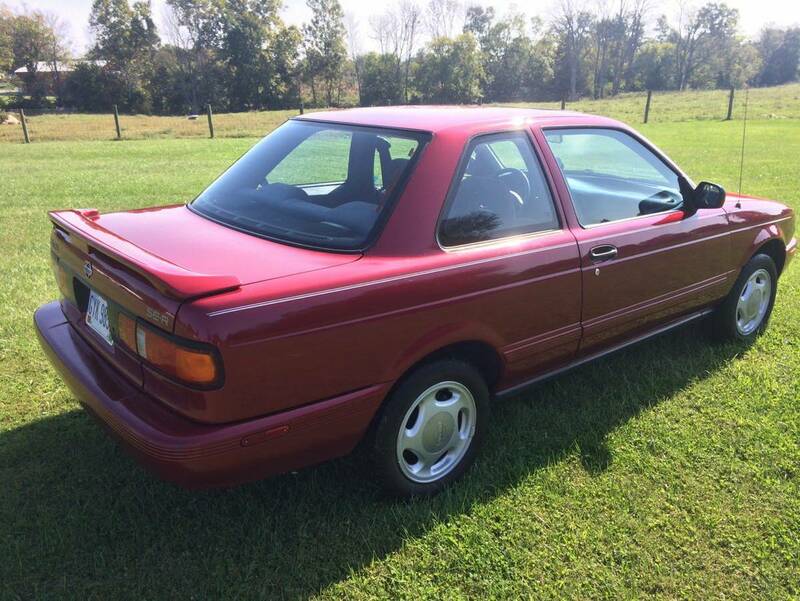 A e30 BMW is the most closely comparable car and the prices on them are way, way north of this car. I do not think you can find a clean 325is anymore for under 10k. The b13 se-r was a car and drivers ten best list from 1991-1994. I would relook up what they had to say about these cars. Rebuilt title takes the sheen off a bit.